How Bad Is That Beauty Habit? Do you fall asleep in your makeup? Skip shampoo? Find out if you're doing damage—or just smartly saving time. When it comes to our beauty routines, we all do itcut corners, skip steps, and multitask (but in a bad way). Say you stop shampooing for a few days, or finger-paint on lip glossis it any big deal? You're going to want to rethink a few of these habits, but as it turns out, sometimes doing "wrong" gives you a surprise beauty benefit. "If you haven't cleaned your brushes in some time and are experiencing breakouts, this could be the culprit," says New York dermatologist Craig Austin, MD. "Makeup brushes are like sponges; they hold on to bacteria." They can even harbor mold. Wash sponges and "wet" brushes (for concealer or foundation) every three to four days, because they're more hospitable to bacteria. Dry powder brushes should be cleaned weekly. "If the bristles are dirty and sticky," notes New York-based celebrity makeup artist Nick Barose, "they'll hang onto more makeup and not blend it as well." Use a gentle face wash, then let them air-dry. The verdict: Hey, it's OK! Plenty of makeup artists use their fingers in lieu of brushes, and it's not just because this shortcut saves time. 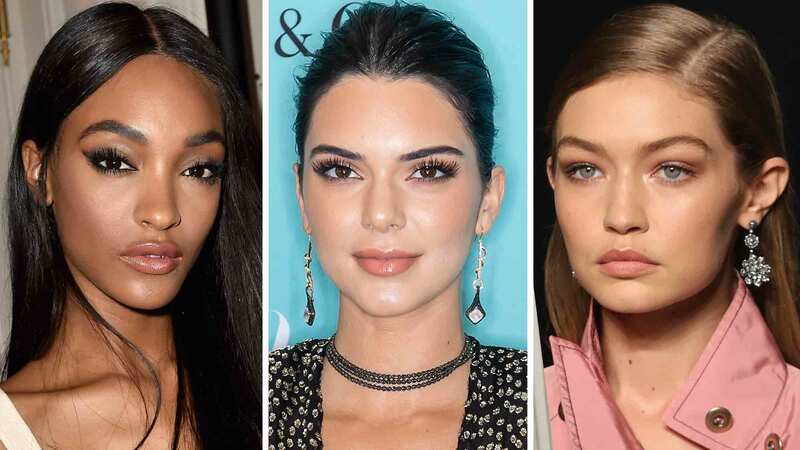 "I love using my fingers to apply foundation, cream blush, and concealer because they warm the product up and really press it into the skin for a look that's more natural and seamless," says Los Angeles-based celebrity makeup artist Kayleen McAdams. You'll also likely waste less makeup because fingertips don't sop it up like sponges. Caveat: Most powders (eye shadow, blush) will look less splotchy when you use a tool, like the Ecotools Foam Applicator Brush ($6; ecotools.com). It's the cardinal sin of skinsqueezing a zit. But who has the willpower to wait out a giant whitehead? "Picking blemishes can make them appear worse and spread bacteria," says dermatologist Howard Murad, MD. If you can't stop, minimize harm: Clean the area, help things along with a warm cloth or steam, and (very!) gently use tissue-covered clean fingertips (not nails) to apply pressure evenly. Then treat the area with an antibacterial product containing salicylic acid. Some nights you deserve a medal just for brushing your teeth. Fact is, occasionally sleeping in makeup won't harm you, though it can cause inflammation around the eyelids, says Wendy W. Lee, MD, associate professor of clinical ophthalmology at the University of Miami Miller School of Medicine. For a speedier clean, try a cleansing cloth like Garnier The Soothing Remover Cleansing Wipes ($6; mass retailers). Four layers of polish (plus waiting time) is a tall order. If you must skip a step, nix the base coat, says Tom Bachik, L'Oreal Paris consulting nail expert: "Most top coats are designed to be quick-dry and help keep color from smudging." Just know that without the base, you'll see chips sooner. So try a three-in-one: a polish with the top and base coats built in, like Sally Hansen Complete Salon Manicure Polish ($8; mass retailers). Yes, really. Assuming your hair isn't damaged to begin with, "it's entirely possible to heat-style and still have hair that looks luxurious," says Liz Cunnane, a trichologist at Philip Kingsley in New York City. The trick: Always use a heat-protective spray before hitting the tools; we like Tresemme Keratin Smooth Keratin Infusing Heat Protection & Shine Spray ($4; mass retailers). Switch to the dryer's lowest setting or medium for the iron. Here's the deal: If you're just touching up roots, rest easy, says colorist Aura of Sally Hershberger Downtown in New York City. The issue, she says, isn't how often you color but how often you change it drastically (going majorly lighter is especially harsh). So be sure to ask your colorist for a damage-minimizing plan. And rehydrate strands with a weekly deep-conditioning treatment. We like L'Oreal Paris Advanced Haircare Power Moisture Rush Mask ($7; mass retailers). No need to feel like a slackerthere are benefits to not sudsing up daily (less wear-and-tear and better shine, for starters). But if your hair looks flat or oily, refresh it with dry shampoo and a dryer blast. We like Schwarzkopf Professional Osis Refresh Dust ($22; Ulta stores). Or, Rhys suggests, try an old-school alternative: baby powder.